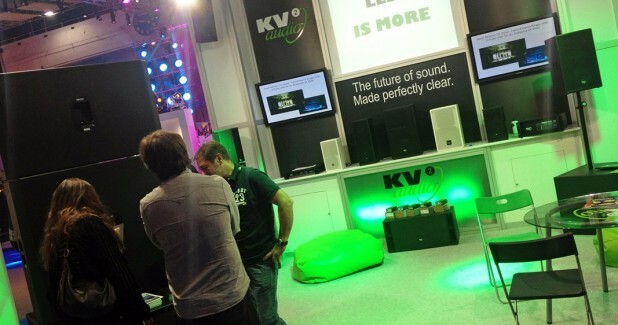 KV2 Audio Europe Ltd returned to the PLASA 2012 Show with a new stand, new products and a new demonstration facility. 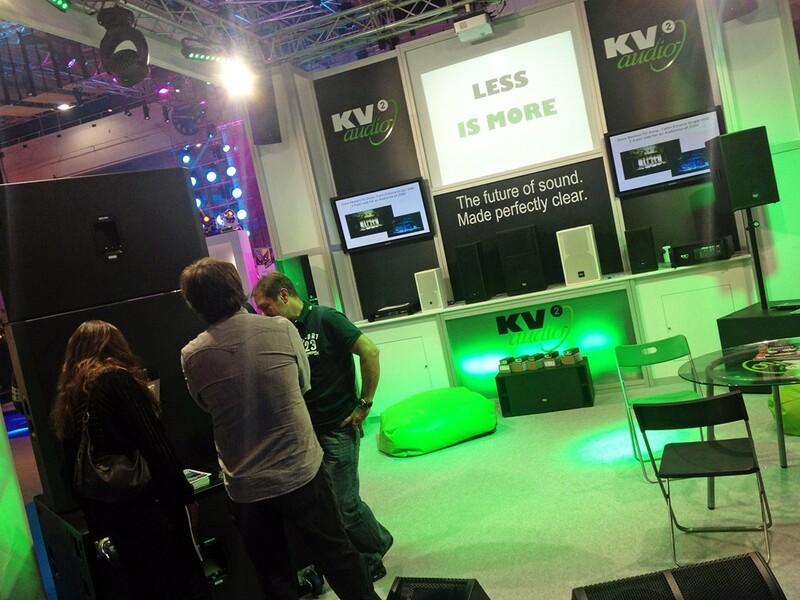 With a new stand position adjacent to the main PLASA Bar the KV2 Audio stand was buzzing with all manner of attendees, many who are already faithful users of KV2 and who now acknowledge KV2 as amongst the industry leaders in the Pro Audio world. 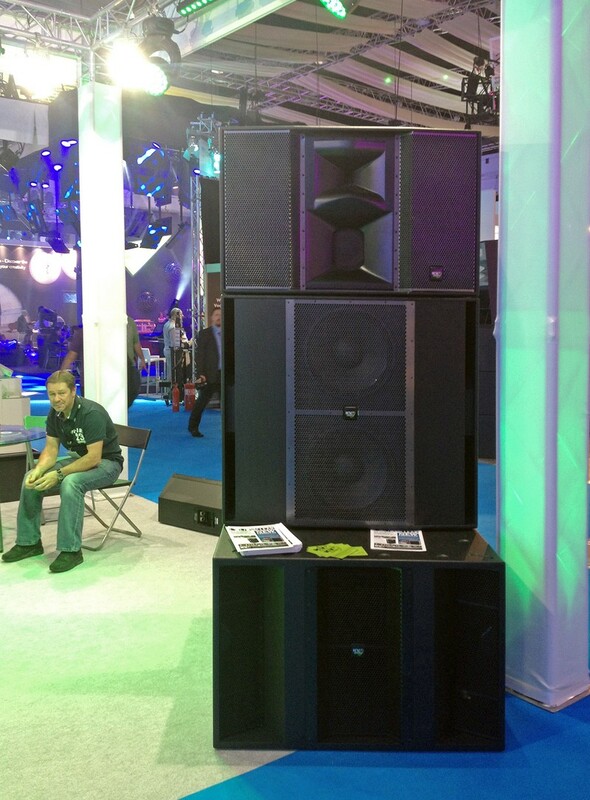 The show provided KV2 Audio Europe Ltd with the opportunity to show the brand new SL series “Club” and installation System which generated a huge amount of foot traffic onto the stand due to its unique slim-line cabinet design and imposing front grill. On show was the SL412, slim-line wide dispersion enclosure that can be used full-range or as a dedicated mid-high with the SL2.15 slim-line double 15″ subwoofer on top of the impressive VHD2.21 double 21″ subwoofer. Other new products on show included the JK Series of Line Drivers and the complete range of ESD loudspeakers featuring the newly released ESD1.12 passive 12″ subwoofer, ESD1.15 15″ subwoofer, driven on the stand by the new ESP2000 2 channel Ultra high definition amplifier. As always the ever popular EX and ES Series were also represented with existing users visiting to pay compliments to their own experiences of ownership, citing superior performance and reliability. Show attendees were invited to visit KV2’s demonstration room to hear a selection of four systems and experience the true capabilities of KV2. KV2 Audio’s Jonathan Reece-Farren was running the demonstrations which ran throughout the show and the room was consistently busy.